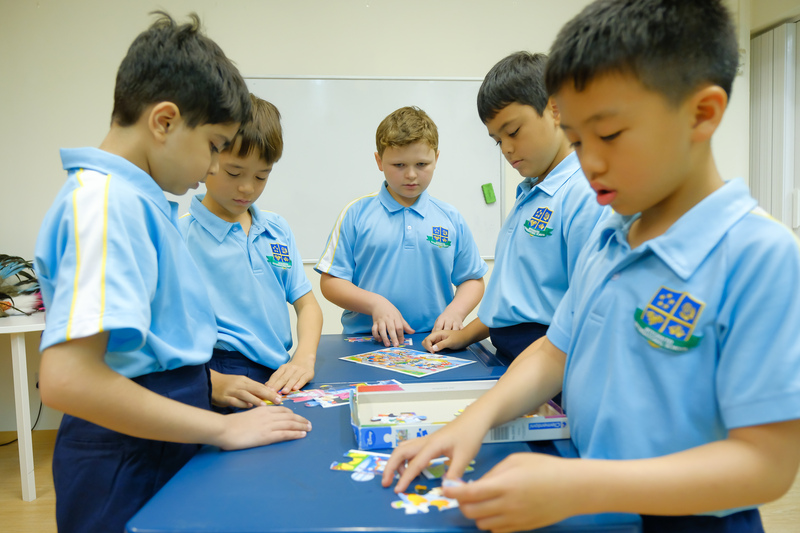 A one-time only, non-refundable Application Fee of S$2,600 is required along with the submission of the Application Form to be considered for admission to the Integrated International School. Please note that our school fees include maintenance, technology and school excursion costs. In addition, IIS provides fee protection in the form of an Insurance Protection Scheme. Our Fee Protection Scheme (FPS) is applicable to all students who are enrolled. School uniforms, booklets, examination fees, late payment fees, transportation fees, extra-curricular activities (ECA), external therapy services, etc. are charged separately, and are not included in the Course Fees. Details of these charges can be viewed below and obtained from the Admissions Office. When school fees are paid for by a parent’s/guardian’s company on behalf of the student, a company representative is required to complete a Letter of Guarantee (see below) and submitted together with the IIS application packet. Fees and charges must be paid according to the IIS Student Enrolment Agreement. All fees and charges must be paid by pre-established due dates (please see below), failing which, IIS reserves the right to exclude the student from classes or withhold transcripts/other reports, until the fees have been settled in full. A late fee of $250 will be added to the overall outstanding amount. If fees remain overdue, IIS reserves the right to remove the student from the school, and a re-enrolment fee charged should the student wish to continue studying at IIS. Please note that fees may be subject to annual review. Fees are invoiced each term of the academic calendar – IIS has 4 terms each year. We accept Cash, Cheque, Telegraphic Transfer (TT), Internet Banking and Cashiers Order for payment.